This is a reflective post. You see, a couple days ago was the anniversary of Michael Eisner being voted in as Chairman and CEO of the Walt Disney Company. I deliberately chose not to report it. I've had a great deal of post that reflected negatively on him and the Suits he brought with him so I felt like it would have been piling on unnecessarily if I had mentioned it. My gripe has always been that Eisner overstayed his welcome and basically lost his balance in 1994 when Frank Wells died in a helicopter crash. During his first decade, I feel he got eighty to ninety percent of what needed to be done right. The problem was he spent the next decade doing the exact opposite and doing eighty to ninety percent wrong. If he would have retired by, oh say... 2000 he would have gone down in history with a much kinder record. I believe he'll still be remembered rather well... just not as high on the ladder as he could have been. Sometimes people have to know their limitations. Sometimes people have to know when it's time to leave the party. Sometimes it's necessary to call the game and head home. That takes humility and perspective... these are two things missing from Eisner once Frank Wells exits the stage in this play. Now, what does this have to do with the title of this post? Solsbury Hill? Well, it refers to a song. My favorite song by my favorite solo artist. Peter Gabriel. The song has a very colorful and interesting history. You see, he wrote it after going insane... alright, that's the politically incorrect way of saying it. The PC term would be that he had a mental breakdown. He lost his wife because of an affair he had with someone... presumably, Kate Bush. He realized that he'd made a mistake and the world around him was crumbling because of his own mistakes, his own stupidity and his mind just snapped. He was put in an insane asylum... oops, sorry. A mental institution, I mean. And he spent some time reconstructing his mind, going over the details of his life and trying to piece it back together until one day it was over. Someone famous came to take him home. Now the song was written about his experience being there... supposedly, he used to look out the window and see Solsbury Hill and it became a symbol for him. It became his freedom. Not so much from the place he was at physically, but where he was emotionally. For when he could finally get out and go to it... well that meant that everything was back to normal. Everything was fine. Now, I'm sure you're saying... "nice story, but again, how does this have anything to do with Disney? Well, as I said at the beginning of this post... this is a reflective post. I'm just in that sort of mood so bare with me a bit. See, I tend to use a lot of analogies(and if you don't know that you've not been reading the blog very long)... what this has to do with the Mouse is in how it mirrors the time of Eisner's reign. See Eisner was riding high at the company, its stock was high and the success was making him feel like he could do no wrong. Like he could do what he wanted and nothing bad would come of it. Like Peter Gabriel when he cheated... he wasn't thinking clearly. Anyway, the disaster for Gabriel was the infidelity and destruction of his marriage. The disaster for Disney and Eisner was EuroDisney. Eisner's first mistake was in locating the park in Paris instead of where it should have gone, which was Barcelona. This was the location that the park was originally going to go. The area was good and the weather was much closer to the American parks so that the company wouldn't have had to deal with the harsh winters that made them design certain things for the Paris theme park. Well, France dangled all these goodies... all these financial incentives in front of Disney and Eisner gave into temptation and took it. Just like Gabriel... he then started building far more hotels than the resort could fill effectively. Eisner indulged in his excesses the way Gabriel continued his affair not thinking of the repercussions and not believing he would get caught. It's good to finally have the Mouse be in a position where it knows what was done right, what was done wrong and what needs to be done over the next decade or so to bring about some form of sanity. For the Mouse, the Shareholders and the Fans. Now does that sound crazy? Good post - though I have to disagree with you on one thing: chosing Spain over Paris would have been a HUGE mistake. True, there's the nicer weather in Spain. But that's about it. Tourism (at least when it comes to families - Disney's bread and butter) still comes to a halt during the winter months. Ironically, year round operations in Spain would have been almost impossible (take a look at how many Spanish theme parks are actually open 365 days a year...) even with the nicer climate. Great post. I am excited about the magic that Iger and Co. will bring. And with Uncle John having a hand in at WDI, well, the next 3 to 4 years could be exceptional. Solsbury Hill is one of my favorite songs! Anyhoo...I agree with what you've surmised. Eisner definitely lost his footing when Wells passed away. It probably shook him a lot more than we will ever know. But I wonder if we would have this golden age right now if Esiner had left in 1994 or 1995. Who else might have come in at that time? That sounds like a good post for you to tackle! This makes me very angry. So much was screwed up and it will never be fixed. What a shame. I'm a little confused on the "Solsbury Hill" reference. I can't find a single substantiated source that says Peter Gabriel wrote that about an affair with Kate Bush and a subsequent tenure in a mental institution. I've really enjoyed what you have to say about Disney's parks, but the seeming lack of research on this makes me have doubts about your veracity that I didn't have before. It is my understanding that Disney built all of the hotels because of land use entitlements. There was a time limit in which Disney could retain exclusive rights to build within the project area. If the time limit expired other hotel chains could have built facilities. So to soak up the market Disney just built all of their entitlements at once. 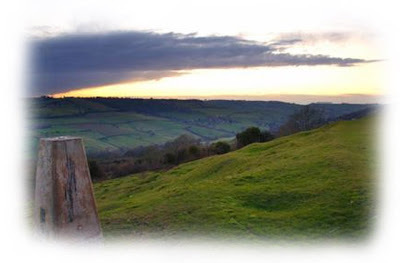 Hey, I love the blog, but you are most certainly wrong about your Solsbury Hill history. The song appeared on his first album. At that time he was very happily married indeed. I don't know where you are getting this wacky Kate Bush story but any number of sources, including Spencer Bright's biography if you can find a copy, will readily debunk your story. Nor was Gabriel EVER institutionalized. I don't care what your sources say on this. They are TOTALLY inacurate and if you ever met Peter yourself, you could ask him and he would tell you the same. Solsbury is more about making big and scary choices and changes in life, specifically ones like, oh, I don't know, leaving a giant 70s art rock band at the peak of your fame to strike out as a solo artist. Now,he an his wife did split some time around the recording of PG IV (aka Security) after she had an affair with co-producer David Lord. And I believe PG's response to that was to have an affair with Rosanna Arquette. he did have a little bit of a breakdown and lived with Martin Scorses and Robbie Roberston around that time and the breakdown was definitely centered around his marital woes. But that is the total extent of the veracity of the story you've told. I am saying all this without any hostility -- I really really like your blog a whole bunch -- but I do say it with dead certainty and it's documented, published fact. You can look it up, and not just on Wikipedia. Actually, the dates don't jive at all with the idea of Solsbury Hill being written after some affair with Kate Bush. Kate's "demo" tape ended up in Pink Floyd's David Gilmour's hands and then he and Alan Parsons Project orchestrator Andrew Powell (Ladyhawk) produced her first album in 1977. She was only 19 at the time and had only just quit school. Though she'd made many of the demos that would eventually become the Kick Inside by 1976, nobody had heard them except for Gilmour, Powell, and a few EMI reps. Peter had just signed onto the ATCO/Atlantic label at the time and would have had no reason to have heard of these demos. Her first collaboration with Peter Gabriel came *years* later, in 1980. Solsbury Hill was recorded in 1976, long before anybody even knew who she was. Peter divorced Jill in *1987*, after the recording of So. It's possible that there was an affair then, while making "Don't Give Up" for that album, but that was still 10 years after Solsbury Hill was released. Peter and most critics agree the song was merely an allegorical painting around his feelings of leaving Genesis, then considered a controversial decision by everybody involved. If I am wrong about the story then I apologize, but I did say presumably when refering to Kate Bush. Let's just say the source of the rumor told me this and since it's been known in some circles that there was something going on between them. As for the institution bit... well, I don't know how long he was supposed to be there but my source talked about him being there. It could of been hours for all I know, but I can't verify it. It's a story told to me by someone who's in the know in the music business... but it was a long time ago back in school at USC. Don't worry about thinking I thought you were hostile towards me. Everyone has a right to their opiniion... if I'm wrong, then I'm wrong, but only PG knows for sure what happened. hahahahaha, when we were kids we all heard the Peter Gabriel "insane asylum" rumor...that he was "let out" to do his albums...just like Rod Stewart had to have his stomach pumped, we all knew it was "true"...sorry you fell for the same schoolkids mumblings the rest of us did!